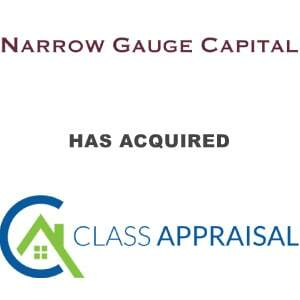 Narrow Gauge Capital Acquires Class Appraisal - Berkery, Noyes & Co., LLC. BOSTON, March 26, 2018 /PRNewswire/ –Narrow Gauge Capital (“NGC”) today announced it has completed the acquisition of Class Appraisal, LLC. (“Class” or the “Company”). Class Appraisal is a leading nationwide provider of real estate asset valuation and appraisal management solutions to the residential mortgage industry. Class is one of the fastest-growing and most respected companies in the industry, offering its clients the highest levels of service and performance in the appraisal management process. 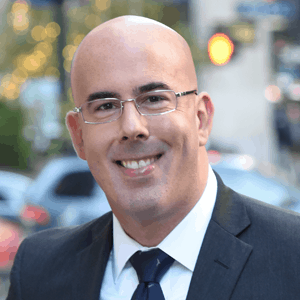 “Narrow Gauge Capital has developed deep knowledge of the mortgage industry and has consistently demonstrated its strong commitment to providing unmatched client service and world-class technology,” said Alex Elezaj, CEO of Class Appraisal. “Our new ownership will allow us to continue to invest in our service offering for the benefit of all of our customers,” he added. “We have made great progress over the past several years and are excited to work with Narrow Gauge to enhance our market-leading position,” said Jon Tallinger, Vice President of Sales and Marketing for Class Appraisal. ICG Strategic Equity and Aberdeen Standard Investments provided equity co-investment in the transaction alongside Narrow Gauge Capital. Keefe Bruyette & Woods, A Stifel Company, acted as exclusive financial advisor to Class Appraisal in the transaction, and Bass Berry & Sims PLC served as legal counsel to the Company. Berkery Noyes served as exclusive financial advisor to NGC in the transaction, and Winston & Strawn LLP served as legal counsel. 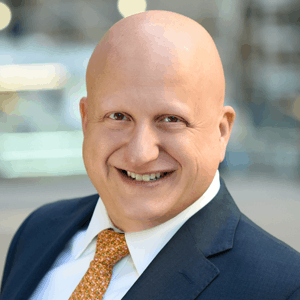 Narrow Gauge Capital, based in Boston, is a private equity firm controlled by Adam Doctoroff and Travis Metz, who formerly invested on behalf of Monitor Clipper Partners, LLC, an independent private equity firm formed in 1997 which managed in excess of $2 billion. NGC pursues buyouts and recapitalizations in growth-oriented businesses with strong management teams. NGC is currently pursuing transactions in areas where it has specialized expertise and past transaction experience, including health care services, financial services, building products, distribution and logistics.